During Bombardier Inc.'s short stint in manufacturing locomotives for freight service it unveiled the HR616, a model that was based from its former subsidiary's designs, the Montreal Locomotive Works. The new locomotive sported a unique carbody known as the "Draper Taper" that was intended to improve a crews' visibility when looking aft. From a visual perspective it was closely related to the cowl design so often used in Canada. However, it also gave the road-switcher the appearance of having fish gills with the way in which the hood angled in directly behind the cab. Overall, the HR616 ran into several mechanical issues while in service and they were retired after only a decade of use. Later during the 1980s three different Electro-Motive models carried the Draper Taper. The last locomotive to feature the design was a General Electric "Dash 8" model. Since the early 20th century one of Canada's preeminent builders of locomotives was the Montreal Locomotive Works (MLW), a division of the American Locomotive Company (Alco) based in Schenectady, New York. Starting in 1940 and throughout the diesel era MLW manufactured several different models that were predominantly or partially based from Alco's American designs such as the S series switchers, RS series road-switchers, FA cab series, and the late era Century line of the 1960s. Alco stopped producing domestically after the late 1960s. However, MLW continued to operate independently, producing the Centuries under its own line as the M420, M424, M630, M636, and M640 throughout the 1970s. In 1975 Bombardier took over MLW as a means of expanding into the locomotive market. Bombardier was a Quebec corporation founded in 1941 that had long been involved in the transportation industry manufacturing snow mobiles and bush vehicles for many years. During this time the company acquired MLW as it was expanding into other industries including aerospace and the resurging commuter/passenger rail market. Until the end of 1982 Bombardier continued to produce MLW's own line of road-switchers, which ended when the last M424s rolled out of its plant bound for Mexican customers. 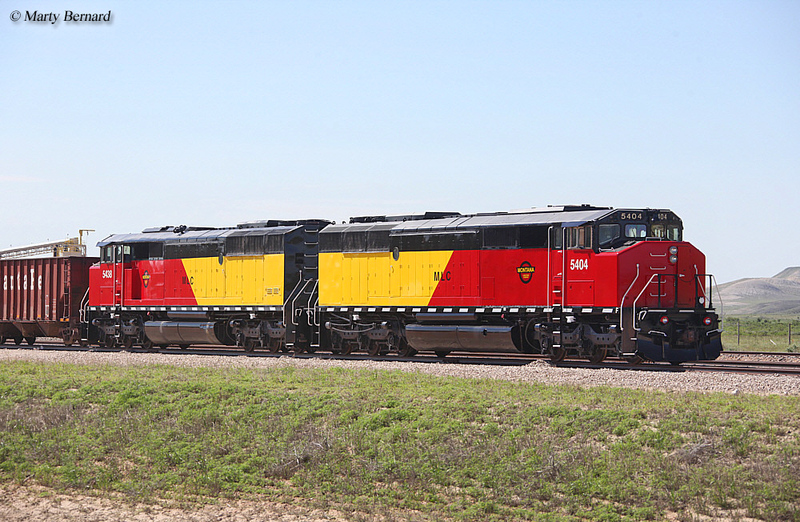 Since 1980 the company had been designing its own road-switcher in conjunction with Canadian National's Chief of Motive Power, William L. Draper who worked on the locomotive's carbody. What became known as the "Draper Taper," the cowl-like design looked like any other that saw widespread use in Canada. However, extending more than 10 feet directly behind the cab the carbody angled inward to provide crews with better visibility when looking behind them while also still allowing for covered access to the engine compartment. Classed as the HR616 ("6" axles and "16" cylinders) the model was based from Alco and MLW products, utilizing Alco's model 251G prime mover that could produce 3,000 horsepower. Just as Alco had done Bombardier used primarily General Electric components on the locomotive such as traction motors, alternator, and main/auxiliary generators. The company described its design as "HR" which stood for High Reliability. This name was somewhat ironic considering that the locomotive experienced so many troubles while in service. Along with the Draper Taper carbody and C-C trucks the HR616 sported an angled fuel tank similar to GE styling and the classic Canadian Comfort Cab with a four-piece, front windshield and angular nose. Canadian National would turn out to be the only buyer. 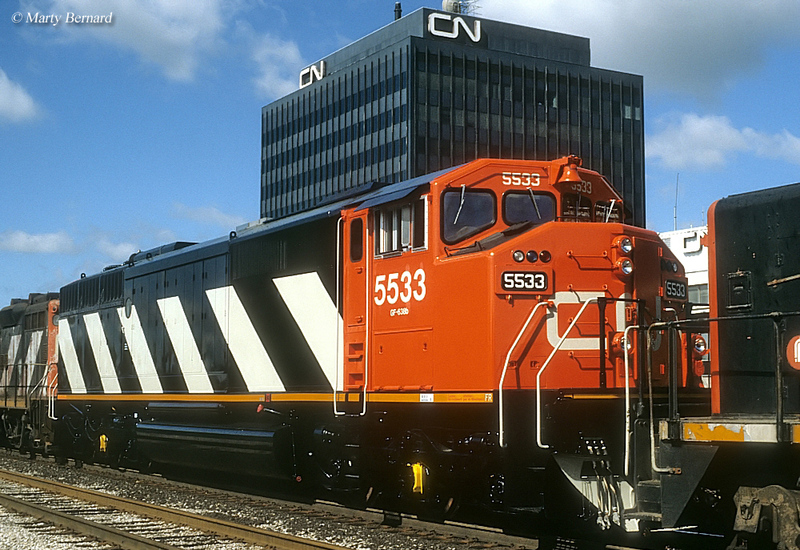 Between February and August of 1982 CN took delivery of 20 units, numbered 2100-2119. The Class I used them in service for more than a decade until their retirement during the mid-1990s. However, it was not particularly pleased with them as the units were fraught with mechanical and electrical problems. Interestingly, CN had placed an additional order for 15 more numbered 2120-2134 but cancelled this after its issues with the first twenty. For a bit more information about the HR616 line please click here. At the same time Bombardier also cataloged the four-axle HR412 that was purchased by CN but did not feature the Draper Taper design. Later on during the 1980s three different EMD models also carried the carbody including the SD50F (1985-1987, all for CN), SD60F (1985-1988, all for CN), and SD40-2F (1988, all built for Canadian Pacific). The only other locomotive to use the Draper was GE's C40-8M built between 1990 and 1994. It was also the only version that was purchased by more than one railroad with CN, CP, and Quebec North Shore & Labrador acquiring at least three examples. Aside from the carbodies GE's C40-8M and EMD's models were the same internally as their standard counterparts. 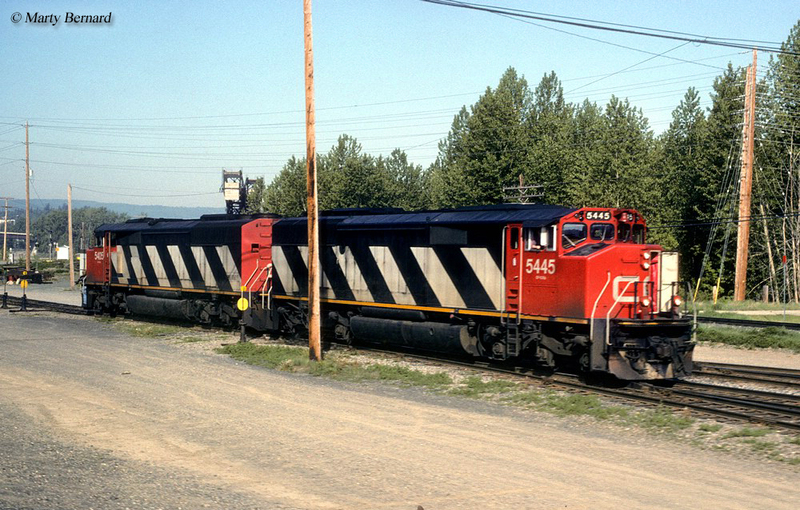 Today, CN still uses its C40-8Ms and SD60Fs in service while CP has retired all of its Draper Tapers.